In no particular order, the following list will set out a few of the things to see and do when visiting Nottingham. 1. Track Down the Legend of Robin Hood. Nottingham is synonymous with Robin Hood and it seems fitting to open this list with the famous medieval outlaw. The city centre is an ideal starting off point for the extensive Robin Hood Trail (see Part 1 and Part 2), which is a 100 mile journey around Nottinghamshire to sites associated with the hero, his men, and the wily sheriff. Nottingham Castle, St Mary's Church, and the Galleries of Justice Museum are all places connected with Robin Hood within Nottingham City. 2. The Literary Legacy. Nottingham claims a long list of novelists, writers, and poets. Amongst the most well-known authors connected with Nottingham are D.H. Lawrence and Lord Byron. D.H. Lawrence was born in Eastwood, about 8 miles outside of Nottingham. There are two attractions to visit in Eastwood - the D.H. Lawrence Heritage Centre and the Birthplace Museum. Every September these centres host the D.H. Lawrence Festival, which runs for most of the month. The infamous poet Lord Byron lived in Nottingham, but spent much of his time in his ancestral home, Newstead Abbey, which is about 12 miles north of Nottingham. Today, the Abbey is owned by Nottingham city council and displays items connected with Byron. The bullet holes inside the Abbey are certainly a testament to the unusual activities of its owner. The Abbey also hosts a number of events, such as Shakespeare at the Abbey, which is performed outside in the grounds during the summer. If you need a bit more of the poet, the tram from Nottingham city centre runs to Hucknall where Byron and his daughter (Ada Lovelace, mathematician and early programmer) are buried in Saint Mary Magdalene church. 3. Gateway to the Peaks. Nottingham is a major urban area with a long history of industrial activity. However, the city sits right on the edge of the Peak District. Recommended places include Dovedale, Hathersage, Ashbourne, and the historical 'plague village' of Eyam. 4. Wollaton Hall and Deer Park. If you would rather stay close to the city and not venture into the Peak District, Wollaton Hall, surrounded by 500 acres of open space, is about a 10 minute drive from Nottingham city centre. Entry to the grounds and hall is free. 5. Ice Skating in Old Market Square. Nottingham's Lace Market is home to the National Ice Centre, which offers indoor skating all year round. 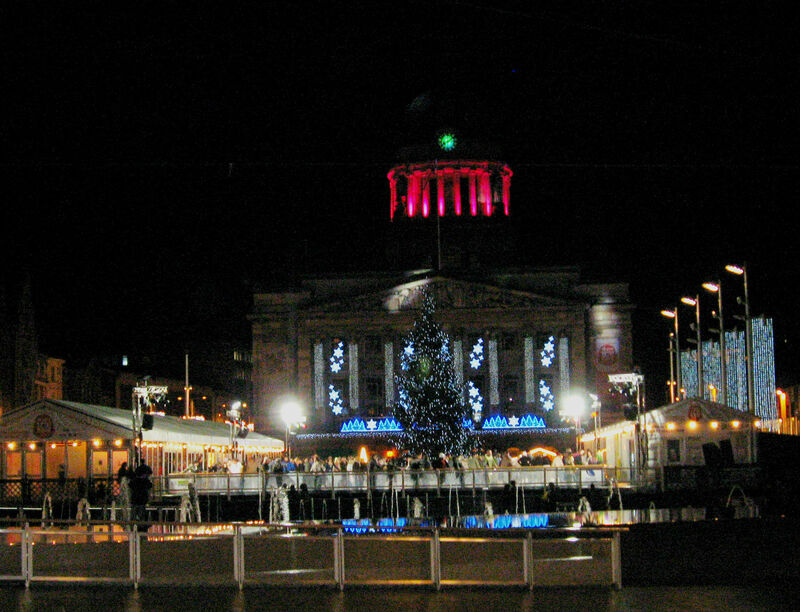 During the winter months, Old Market Square is transformed into an outside skating rink. Ice skating is part of Nottingham's three month long Winter Wonderland, which also includes an official Christmas lights switch-on and traditional-style German Christmas market. 6. Tea Time! Tea is England's national beverage and, naturally, the country is home to a variety of great places to have afternoon tea. If you're looking to escape the drudgery of chain tea/coffee shops, here are some of the best local places in Nottingham: White Rabbit Teahouse, Lee Rosy's, and The Bean (technically in Beeston, but definitely worth the 20 minute drive). 7. Brunch at Brown Betty's. If you're a seasoned traveller, one of the first things you probably look for in a new city is the place where the locals love to eat. Nottingham has many such places, but Brown Betty's is surely at the top of the list. It's unpretentious, nondescript, and so small that patrons eat together shoulder to shoulder on a family style table. The size of the menu and the hugeness of the portions balance out the smallness of the restaurant. 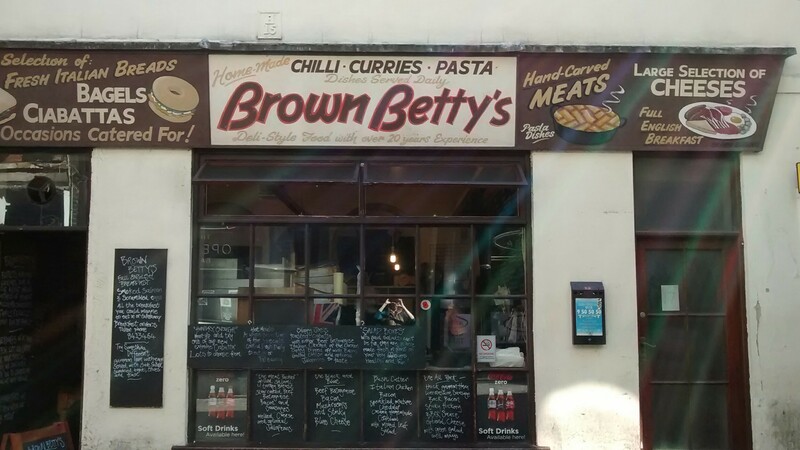 Everything from curries to English breakfast is served here by a friendly, always smiling staff, who have termed the dining experience "a way of life". It almost has the feel of the jovial, energetic 1950s-themed diners that are popular in America. There's just nothing negative to say about this wonderful little place. 8. Natural Beauty. Located so close to the Peak District, it's obvious that Nottingham is surrounded by natural beauty. 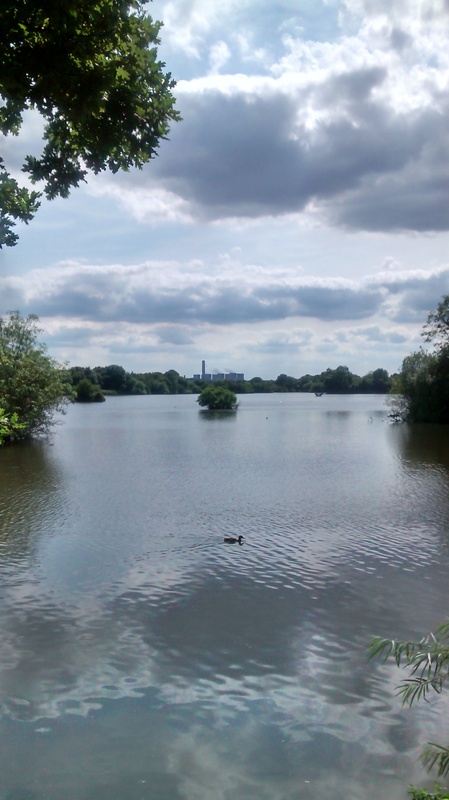 Just four miles away from the city centre is Attenborough Nature Reserve, which has an award-winning nature centre and miles of accessible walking trails. The Scholarly Gardens of the University of Nottingham (about a 15 minute drive from the city centre) are beautifully crafted and full of diverse plants. 9. Broadway Cinema. This independent cinema shows both classic and contemporary films that are not shown in mainstream cinemas. The selection of films and quality of the venue is so good, in fact, that it was ranked as "the smartest cinema in the world" by Total Film magazine (see review by the BBC). 10. The City Beneath the City. Nottingham is surrounded by limestone outcroppings that have been used as shelters since the earliest inhabitants settled in the area. The cave system underneath Nottingham is just as extensive - the most recent estimate counted 544 caves, which have been used as homes, medieval tanneries, and shelter during World War II bombings. Historical reenactments take place on the Cave Tours. Many of the medieval and present day pubs in Nottingham retain the cave-like atmosphere of the local geography. 11. The Oldest Inn in England. Nottingham is home to several medieval establishments with old and interesting histories, including the Bell Inn, Salutation Inn, and the Royal Children Inn. It's Ye Olde Trip to Jerusalem, however, that has painted the distinction of 'Oldest Inn in England' on its wall. The building is carved into the foundation of Nottingham Castle. Barrels of ale were once hoisted directly from the pub into the castle - the opening is still visible today. According to legend, the Trip was a favourite of Robin Hood and his gang, though it seems unlikely they would want to relax so close to law enforcement. It is likely that the inn was a common gathering place for soldiers before they left for the Crusades. Apart from its old and varied history, the pub has an up to date menu and a lively atmosphere. 12. The Hidden Library. 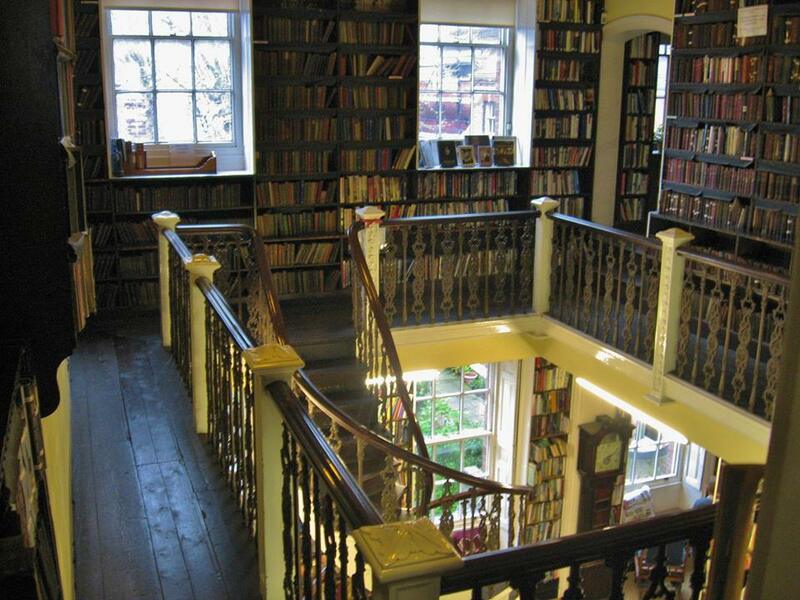 Bromley House Library is one of the last subscription libraries in England. It can be said to be hiding in plain site as it's located on a busy street right next to Old Market Square in the centre of Nottingham. The library's unlabelled red door is wedged between a news agent and a Nando's and most people walk right by without ever noticing. It houses a unique collection of over 40,000 books, many of which are rare or unavailable in public libraries. The interior is eclectic and enchanting, just as a centre for scholars and book lovers should be. Free tours are offered on a fortnightly basis and a wide range of lectures, teaching courses, and other events are open to the public. 13. Artistic Expression. 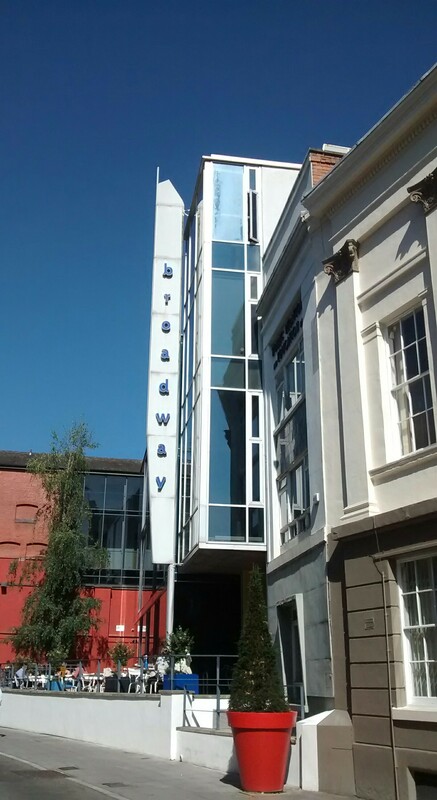 Similar to its literary history, Nottingham has a number of fine connections with historical and contemporary artists. One present day artist actually purchases decrepit buildings and transforms them into artist studios and galleries in an effort to promote some urban regeneration (see The Howie-Smith Project). Richard Parkes Bonington, a nineteenth century landscape painter, was born in Arnold. Although many of his paintings are displayed in the Wallace Collection in London, the house where he was born (79 High Street, Arnold) is still extant (it is currently used as a social club). Nottingham Contemporary displays works of national and local importance from the twentieth to the twenty-first century. It is composed of four galleries with constantly changing exhibitions. 14. Water Sports. Nottingham is in the centre of the country, far from a coastline, but the area is full of rivers and canals, which make it a great place for rowing and other water activities. In the 2012 Olympics, University of Nottingham students won five medals, four of which were for rowing and canoeing. The National Water Sports Centre (offering rafting, sailing, wakeboarding, and much more) is located just 10 minutes away from the city centre. 15. Ay Up Mi Duck (a Nottingham greeting). Any frequent traveller knows that people encountered along the way are the best thing about travelling. There are attractions to see and nature to admire in Nottingham, but while you're visiting take the time to chat with the locals and learn about the city from their perspective. Where: See the links above for further info. Those caves look amazing, and the historical buildings have so much character.